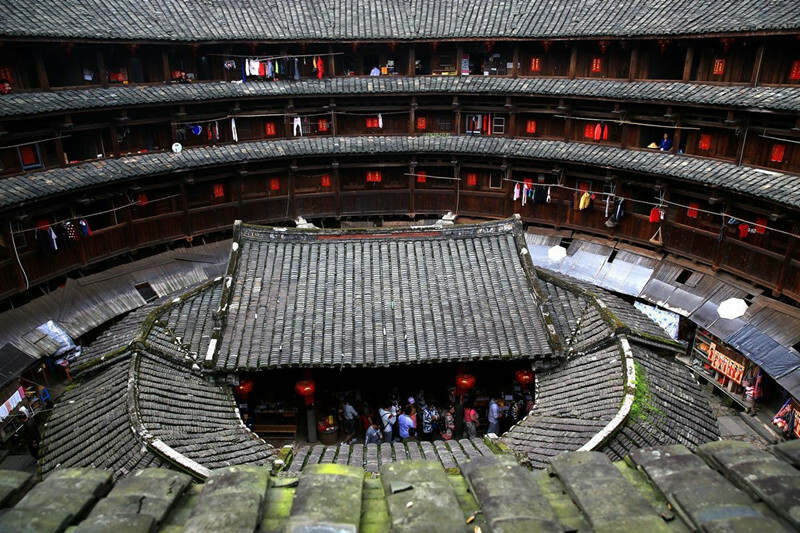 Fujian Tulou is a traditional communal Hakka people residence and unique earthen building found in Fujian province. 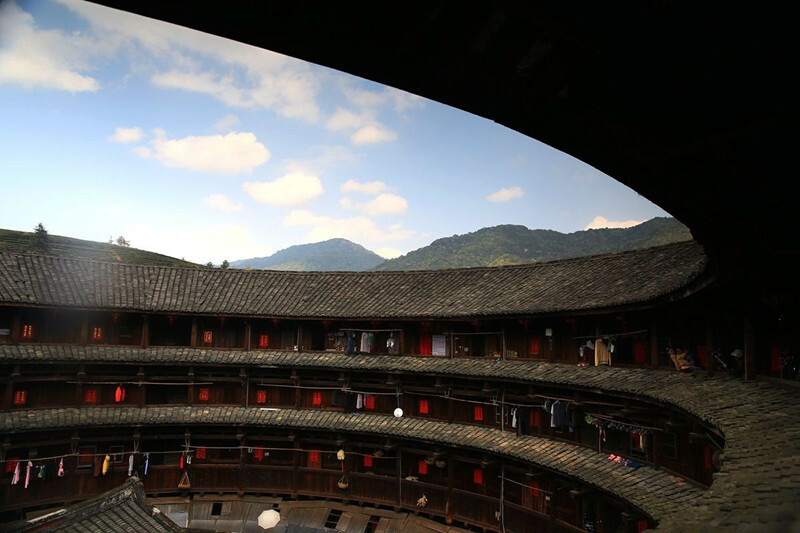 During this 4 days Fujian Tulou Cycling Tour, we will visit the fascinating and beautiful landscapes – earth buildings and experience the lifestyle of the locals. 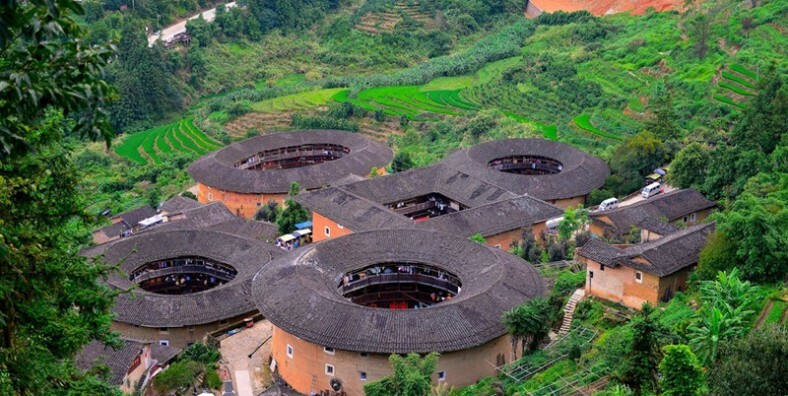 Visit the fascinating and beautiful landscapes – earth buildings. Experience the lifestyle of the locals. Enjoy the big differences between countryside and cities through riding. Upon your arrival, met by the tour guide and transferred to the hotel. Free for the rest of the day to exlpore this city. Today have an early breakfast at 06:30 and then drive to Nanjing. Upon arrival, we will ride 40km uphill to Shuyang and finish at 13:30. At around 14:30, drive 15 minutes to Tianlukeng and continue the ride tour. The route is Tianluokeng – Xiaban – Taxia – Hekeng – Gaotou – Hukeng, with the total length of 29km. At around 18:30, finish today’s tour and check in hotel for overnight. Have breakfast at around 07:00 and start the ride tour to Luxi. We will ride about 21km for about 4 hours. Enjoy lunch at 12:00 and ride for 45km to Pinghe. After Pinghe arrival, check in hotel and have a good rest. Morning after breakfast, ride about 22km to Nanjing. At about 09:30, drive to Xiamen and have lunch. 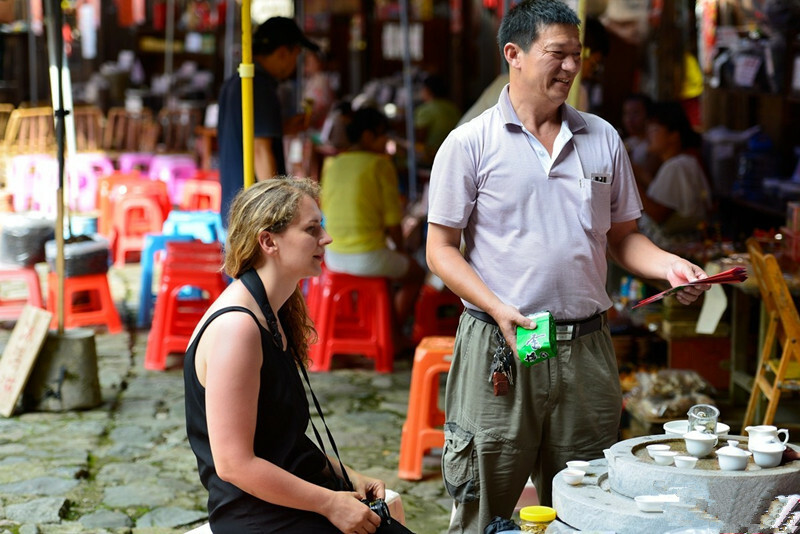 Then continue the ride tour to Island Ring Road or visit Gulangyu Island. After the tour, drive you to the airport for your next destination.